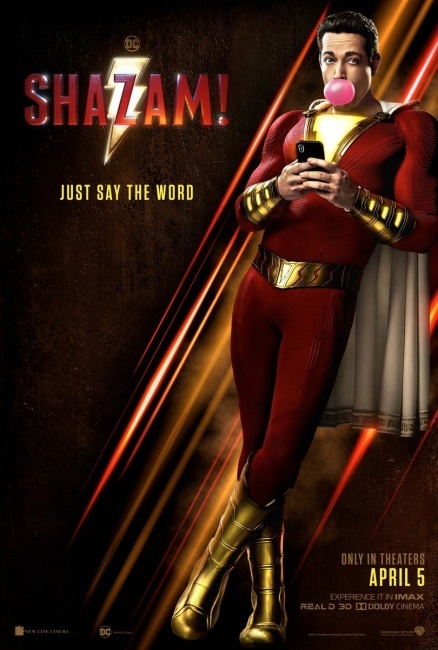 Warner Bros. released some posters for Shazam!, its upcoming adaptation of the DC Comic character. 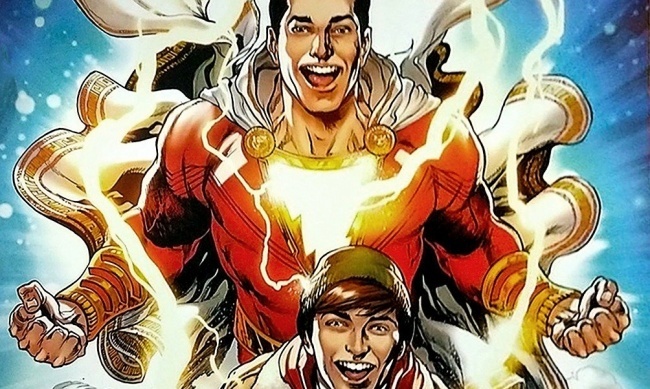 The film will launch in theaters on April 5, and DC is already gearing up with plenty of comic content (see “Upcoming DC Releases Say 'Shazam!'”). One poster is a comic-style presentation that is exclusive to Brazil Comic-Con (CCPX), the other is an official theatrical poster, with Zachary Levi wasting time, in the way teenagers-turned-super-heroes do. TriStar Pictures adaptation of Pornsak Pichetchote’s Infidel comic has named a director, Variety reported. Hany Abu-Assad (Rana’s Wedding, The Mountain Between Us) will direct. The screenplay is being written by Juliet Snowden and Stiles White. The story follows an American Muslim woman and her neighbors who live in a building haunted by creatures that feed on xenophobia. TriStar announced the project earlier this year (see “Halle Berry Joins 'John Wick,' 'Deadpool 2' Breakout in 'Godzilla Vs. Kong,' James Marsden to Race 'Sonic the Hedgehog,'Live Action 'Infidel'”). 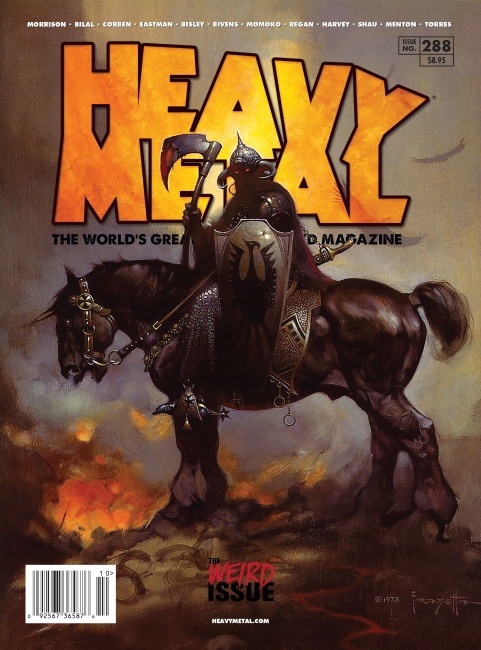 The sci-fi fantasy magazine Heavy Metal will be the subject of a new documentary, Variety is reporting. Fox Digital Studio, Heavy Metal Media, and 4th Row Films are developing the project with Douglas Tirola (Drunk Stoned Brilliant Dead: The Story of National Lampoon, Making the Boys, Hey Bartender) set to direct. Steven Johnson, Fox Digital’s VP of production, Heavy Metal CEO Jeff Kreliz, and Douglas Tirola and Susan Bedusa of 4th Row Films will oversee production and development. Heavy Metal helped popularize high art comics, helped popularize the music genre phrase “heavy metal” and was used as the basis for a Ivan Reitman’s Heavy Metal film. The G.I. Joe movie spinoff Snake Eyes may have found its director, Variety reported. Robert Schwentke ( RED, The Time Traveler’s Wife, The Captain) is in early talks with Paramount. The script was penned by Evan Spiliotopoulos, who wrote Beauty and the Beast. Marvel Studios has made a film adaptation of Asian superhero Shang-Chi a priority, setting Chinese-American Dave Callaham to the task of penning a script, Deadline reported. Marvel is looking at several Asian and Asian-American directors to helm a franchise it hopes will rival Black Panther for ethnic diversity and inclusion. Callaham co-scripted Wonder Woman 1984 with Petty Jenkins and Geoff Johns. He is also working on a draft for Sony’s animated Spider-Man: Into the Spider-Verse 2. 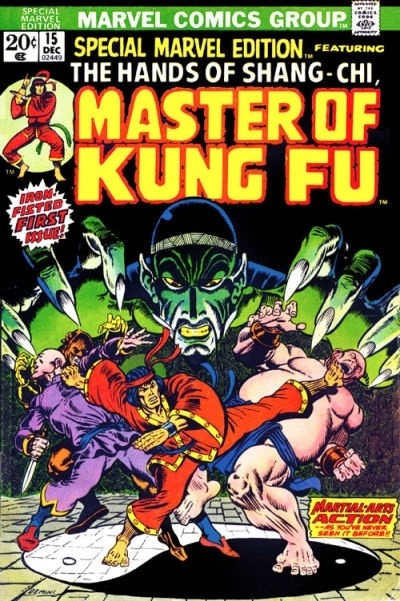 Shang-Chi first appeared in Special Marvel Edition #15 in December 1973, created by Steve Englehart and Jim Starlin. U.K. based Rebellion Publishing Ltd., the company behind 2000 AD as well as numerous video games, comic books, books, film and TV, has purchased a $100 million, 220,000 sq ft faculty to convert into a film studio. The property, located near its Oxford headquarters, will be converted into multiple sound stages which can accommodate TV drama and Hollywood scale productions. Rebellion plans to film its upcoming Mega-City One Judge Dredd TV drama at the site (see “'GoT' Dates, 'Daybreak' on Netflix, 'Locke & Key' Series Order, 'Judge Dredd' Pilot, Lobo on 'Krypton'”), as well as the sci-fi war feature Rogue Trooper which will be directed by Duncan Jones (Moon, Source Code).